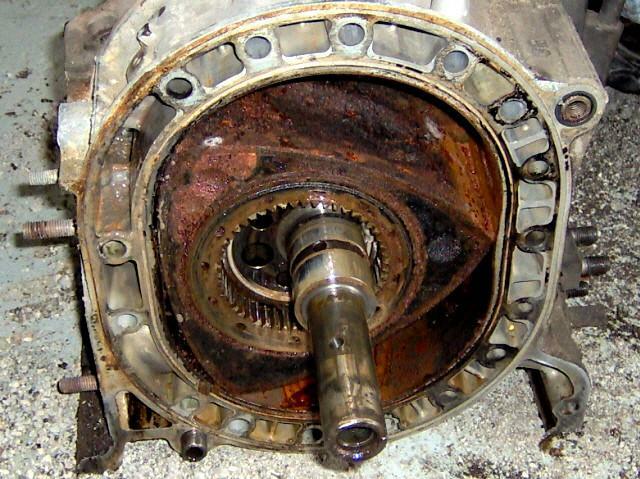 Rotary engines do not react well to long periods of nonuse or 'sitting'. 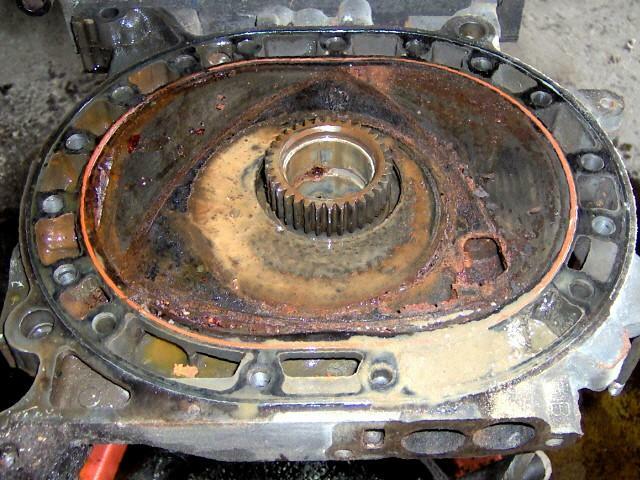 The effects can be quite severe, often resulting in damage to engine components and the need for an engine rebuild. 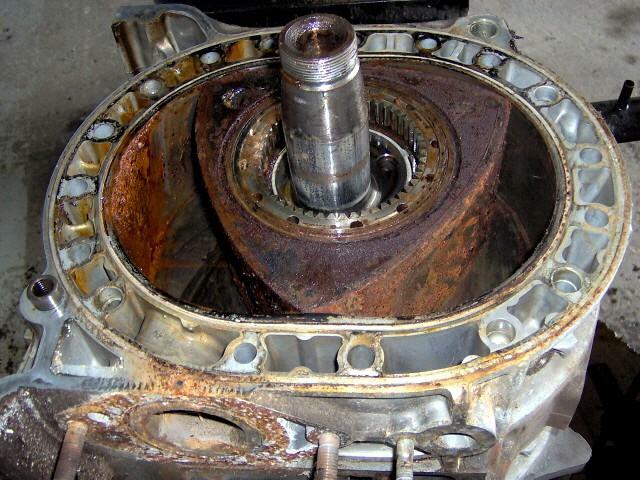 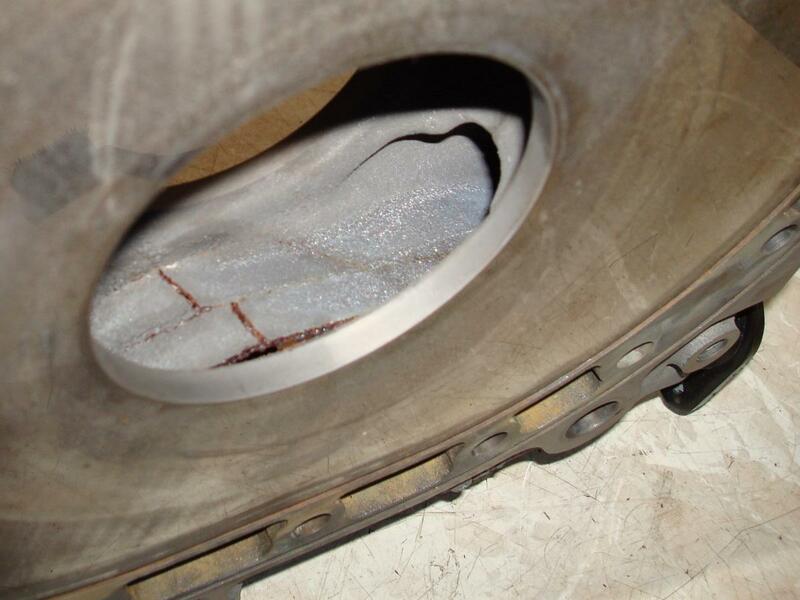 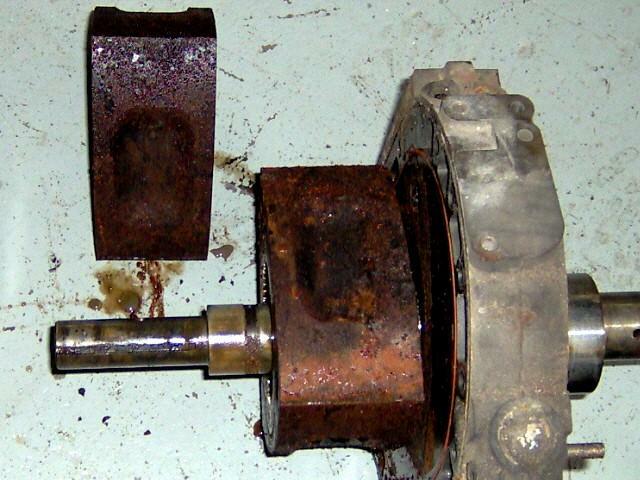 Here are some examples of damage to components as a result of poor storage or prolonged nonuse of a rotary engine. 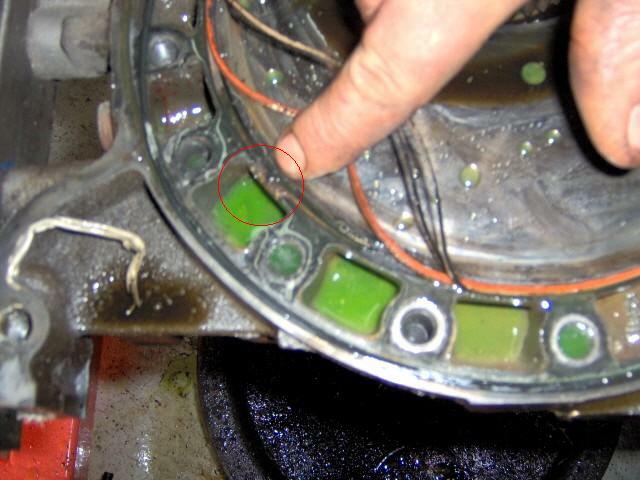 The following photographs show the results of moisture in engine compartment leading to rusting of components. 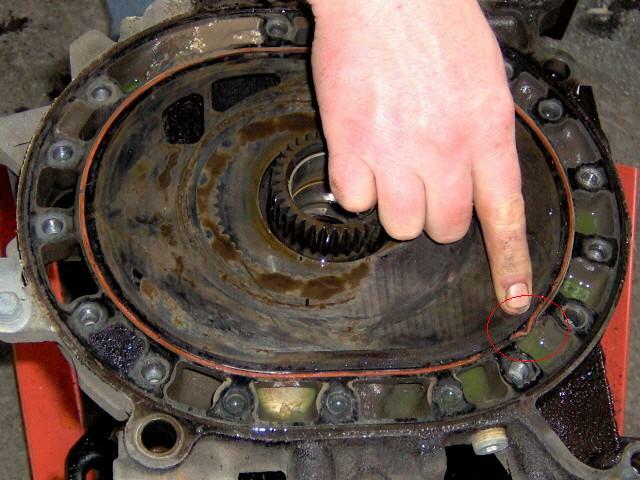 A sign of this failure is that the engine will not crank. 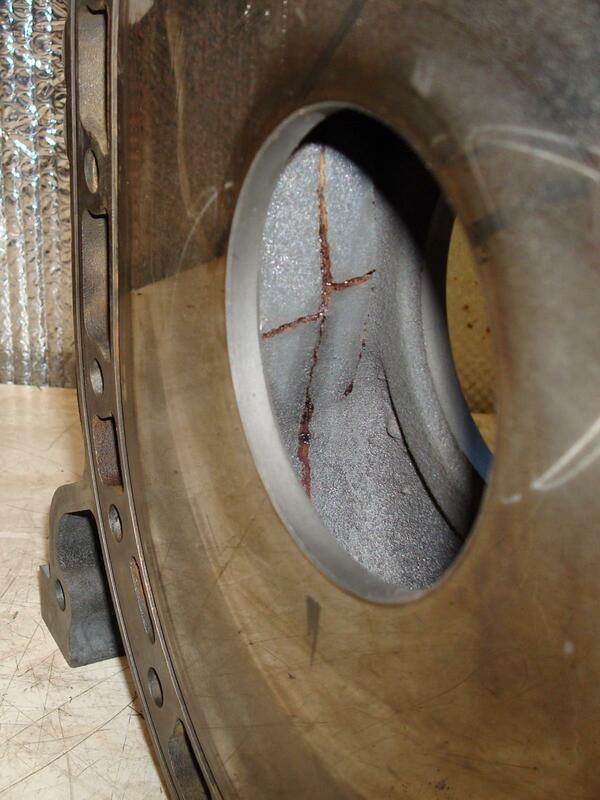 The following photographs show the results of erosion on the plate walls as a result of prolonged 'sitting'. 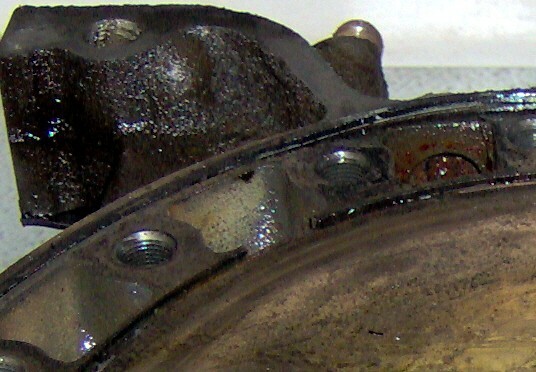 After the plate wall erodes, the coolant seal blows. 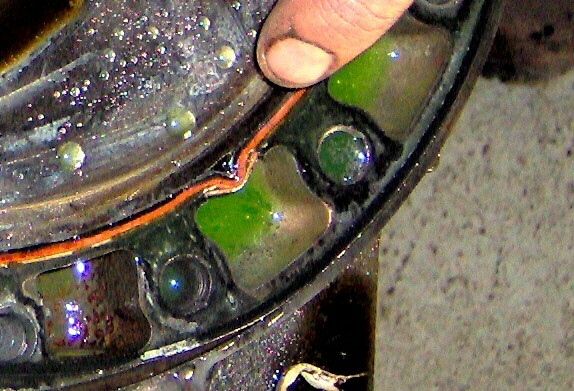 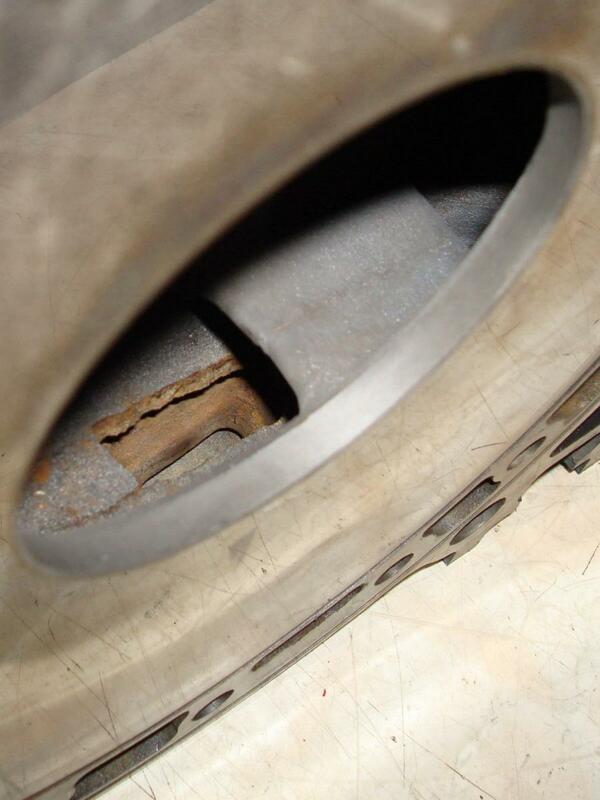 Signs of this failure are smoking from exhaust, the frequent need to add coolant and over heating. 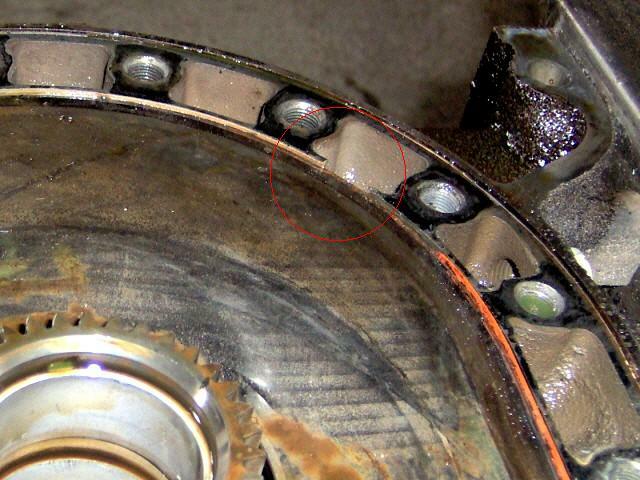 The following photographs show the results of cracked sections of an intermediate plate on a "low mileage J-Spec" engine. 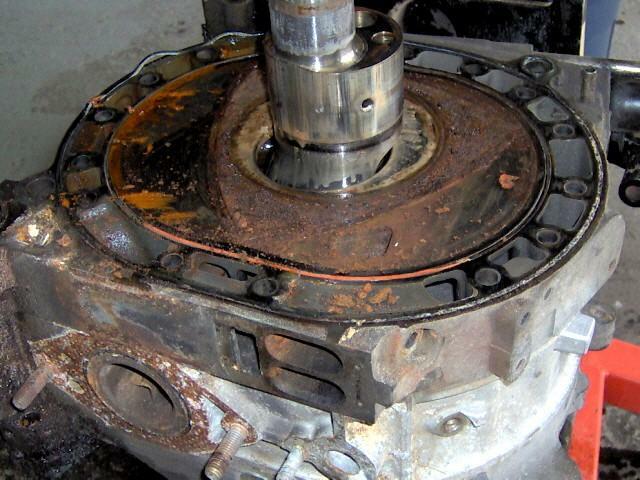 We strongly advise that every J-Spec engine be rebuilt prior to installation.